For a variety of Phonics courses; a supplement to Reading Methods courses. Here is everything prospective reading teachers need to know in order to introduce phonics to elementary school children in a way that's interesting and effective. Coverage is focused on decoding, the lynchpin skill in literacy development. Part I addresses the relationship between phonics and literacy, and provides a six-chapter tutorial that will test the reader's own level of skill. In Part Two, dozens of classroom activities are arranged in the order in which research has shown phonics knowledge to be acquired. 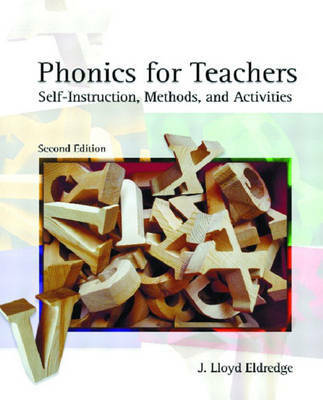 The result is a concise handbook that shows future teachers how to teach phonics while, at the same time, "filling in the gaps" in their personal knowledge of the subject.